Home / Celebrities / Sportswomen / Surfing Queen Léa Brassy Shares Her Awe-Inspiring Journey Into The World Of Reefs & Oceans! 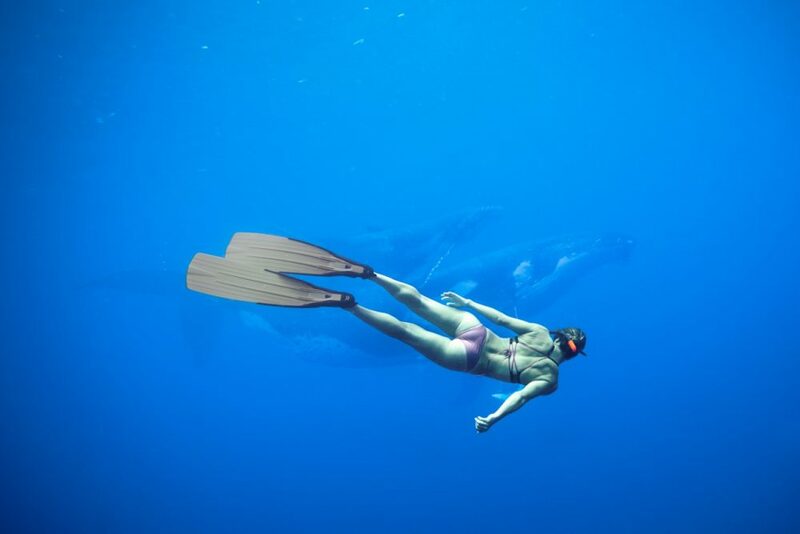 Adventuring in the ocean brings Léa Brassy as far afield as the snowy shores of the Arctic Ocean and the remote coral reefs of the Pacific Islands. A dedicated waterwoman committed to living her passions fully, she enjoys surfing, bodysurfing, spearfishing and sailing. Léa’s adopted a nomadic and minimalist lifestyle. She believes in simplicity as a resource for wellness and sustainability. Namita Nayyar, President Women Fitness catches up with Léa Brassy on her spectacular surfing journey. You discovered your passion for surfing at a very early age and followed your dreams riding your first big wave at Guéthary, France. Walk us through your fantastic journey and tell us how it all began? I began surfing at age 12 on the beaches of Normandy thanks to my older brother and his friend. I was training for competitive swimming at that time so I was fit and confident in the water. Discovering the ocean was a whole new level of experience and I quickly got addicted to the feeling of freedom. Surfing has driven my choice in life ever since, always being in the front row of my priorities. I lived different locations in France then in the world in search for waves, wilderness, and cultural experiences around the ocean.